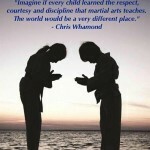 Our one month Introductory offer is a great way to test the karate water, so to speak. One month of unlimited classes AND a uniform for just $29.95!!! It’s the perfect way to measure yours or your child’s experience with karate and determine if it’s something they’d like to continue with. Also, as a Parent, am I seeing benefits? Is my child more respectful, more focused and have they developed more self confidence?If you’ve been on the fence about starting this amazing journey we call The Martial Arts, now’s the time to jump down and get going! On behalf of Chris, myself and our entire staff, THANK YOU to all of you for another amazing tournament experience! The gym yesterday was wall to wall smiles and high fives and the competition was wonderful! Thank you to all of our incredible volunteers who help make this event possible! The following is a list of events we have confirmed for PKA schools. Saturday, February 16th – PKA Scholarship fundraiser, PKA Lodi. 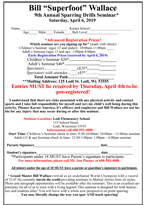 Saturday, April 6th – 10th Annual Bill “Superfoot” Wallace sparring drills seminar, Lodi Elementary School, Lodi. 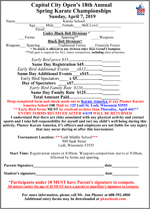 Sunday, April 7th – Capital City Open Spring Karate Championships.